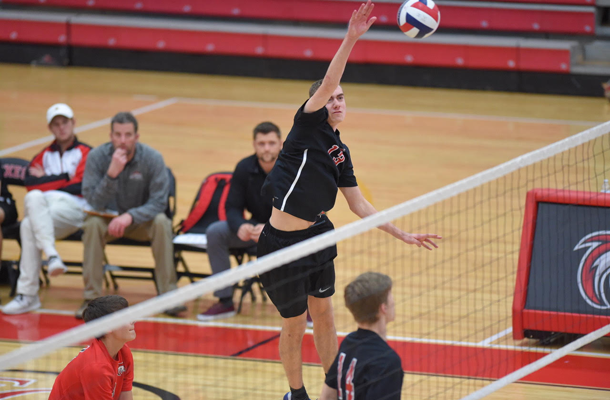 Jacob Klein is an excellent student – not only in the classroom, but also on the volleyball court. Just ask his coach, Phil O’Keeffe, who has seen him learn the sport in less than two years and with remarkable speed. 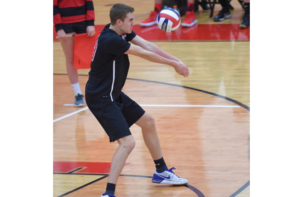 Jacob’s parlay into volleyball came after playing soccer for the Foxes for four years and also baseball during his first two years of high school. As a captain of the team, Jacob tries his best to instill that same sense of belonging in the younger players, many of whom have shown good promise and are getting a lot of minutes on the court. Not only that, it is Coach O’Keeffe’s largest freshmen class in the 16 years he’s headed the program. But for now, in addition to the technical skills he brings to the team, Jacob feels a responsibility to help nurture the team of the future. If Coach O’Keeffe has any regrets about Jacob, it’s just the fact that he didn’t have him on the team all four years.